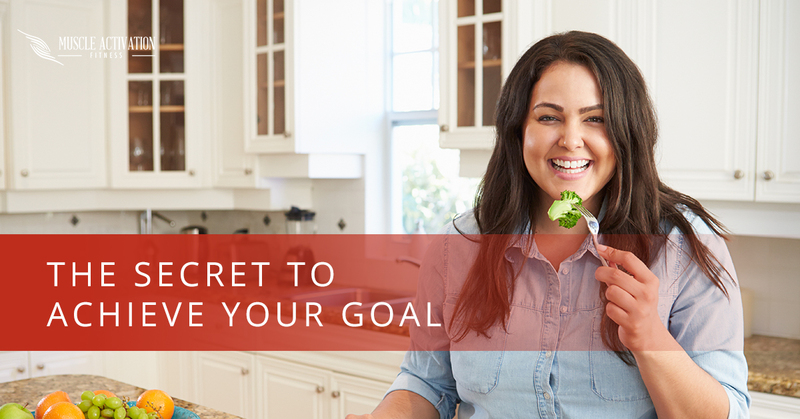 Are you frustrated about not being able to stick to your New Year Resolution? Have you convinced yourself that it seems hopeless to try again at losing the weight that you need to lose. Do you feel so tired and worn out from the whole workout idea? So many people make resolutions to improve their health every year and sometimes year after year and yet never reach their goals. I believe one of the biggest differences between the people that achieve their goals and those that don’t comes down to the purpose for the goal. This might seem too simple, but in my experience, I have found that the people that are able to put in the hours and hours of work, and willing to go through the grind of pushing themselves to uncomfortable levels of exertion are the ones that had a significant enough reason to keep going. It is the why behind the what. Even for our Personal Training and Muscle Activation Technique we must remember that we are here to serve the well being of our community to the best of our ability. When I meet with a new client, on of the most important parts of the initial goal setting is to find the reason they came up with their goals. If the reason they want to improve their looks or life is not strong enough, I have found that those goals usually do not ever get reached or takes a lot longer for me to find the reason for them to want the goal more than giving up. The people that come in with significant purpose I have found that they will push through valleys of no progress to eventually reach their goal instead of giving up. I have found this true with myself recently. I was going through a period in my life where I was just going through the motions and not getting any better and just tired and I did not have any want to push myself. Then one day, my friend asked me why I felt I was not willing to go after my goal and he helped me realize I have not come up with a reason that is more important than me not pushing myself. Since then, I have found a new desire and passion to push myself that I had not felt in a long time. To let you into my life a little, my purpose and reason to push myself harder and harder is because I want my son to be proud of his Dad, and to me, one of the ways he can be proud of me is by me being physically able to take part in any activity that he wants to play. I also want my wife to continually be physically attracted to me. Those are the reasons I have found to re-motivate me to get back to pushing myself into areas that I was not willing to before I created these goals. I suggest you sit down and really come up with strong enough reasons that make you want get active again. Your reason has to be stronger enough to say I can’t not go exercise because not reaching my goals would be so much worse than the temporary discomfort and pain it takes to get to your goals. Start your muscle activation technique sessions out at one day a week. We are here to bring you clarity, accountability, and focus. We are in it with you at Muscle Activation Fitness.